Zoey is an international authority on Mindbody Exercise with over 25 years of experience. First introduced to Yoga and Pilates during her years as a professional dancer, Zoey is passionate about combining science and art in the teaching of movement to maximize human potential. Zoey holds an MSc in Exercise Science with a research focus on alternative therapy and the spine. 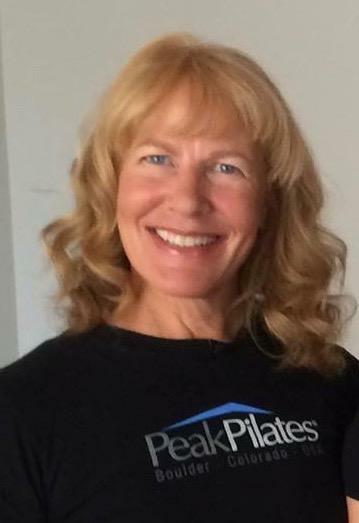 As a Peak Pilates Master Trainer, she co-authored the Peak Pilates Educational Programs and Peak Trainer Mentoring System. Recently Zoey completed an intensive with Pilates elder and Jungian psychologist Mary Bowen. As a lifelong student of mindbody practices, her journey has encompassed yoga, Pilates, and qigong, as well as lesser known movement practices such as Somatics, dance therapy, Feldenkrais, and Alexander. When Zoey began teaching Yoga, almost 20 years ago, her focus was primarily on Ashtanga Yoga. In 2005 she began to study Jivamukti Yoga and 2 years ago she become certified in the Jivamukti Yoga Tradition first through a 200 hour Vedanta Shala program and next with the 300 hour Jivamukti Instructor Certification. She is grateful for receiving the teachings of Janaki, Bhakta Das, Sharon Gannon, and David Life. Her yoga background also includes Baron Baptiste Power Yoga Teacher Training, the study of Iyengar, and Viniyoga, and numerous workshops through the years. Zoey is also an ACE certified group exercise instructor and a Bodyblade program developer. She has been featured in 8 DVDs, been published in 7 languages, and has travelled the world sharing her passion for mindbody fitness inspiring instructors to keep learning and growing, as well as having been quoted in numerous articles and featured on national television. Zoey works to inspire others to reach for the stars, and believes that real power comes from the inside out.